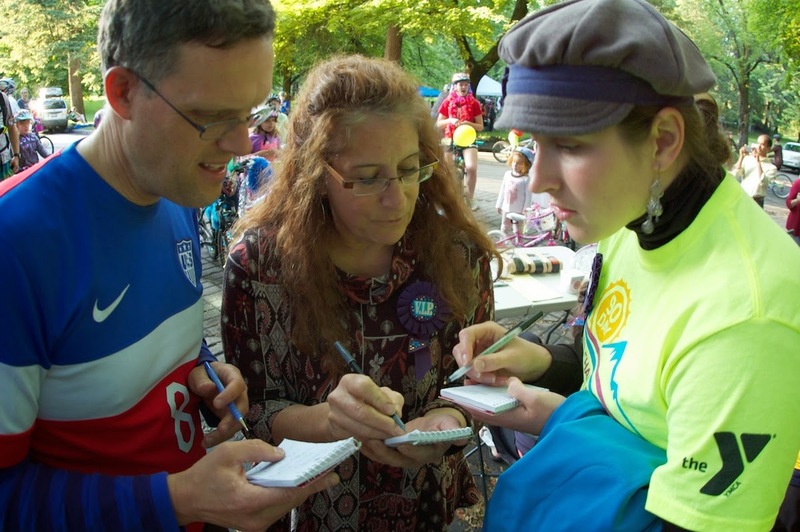 The weather did a 180 and the sun came out just in time to greet the walkers, runners, and cyclists who turned out for Summer Parkways in the Manito and Comstock Park neighborhoods this evening. I ran into a few old friends and made a couple of new ones. That's always cool. A boatload of photos are on Facebook. The bike decorating contest judges confer. 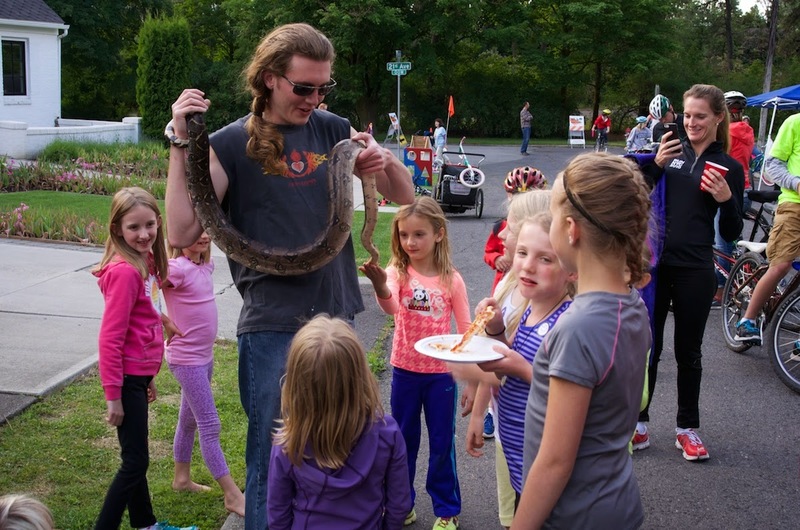 The big honkin' snake was a big honkin' hit with the kids. 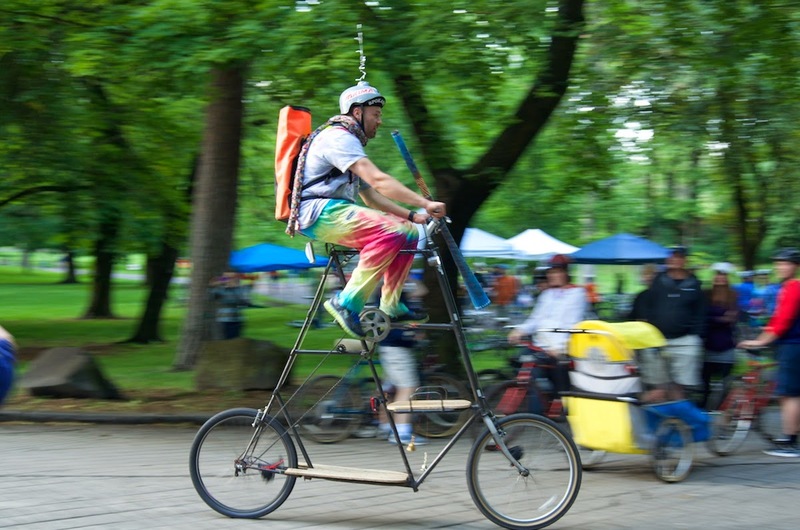 When is a tall bike not awesome? 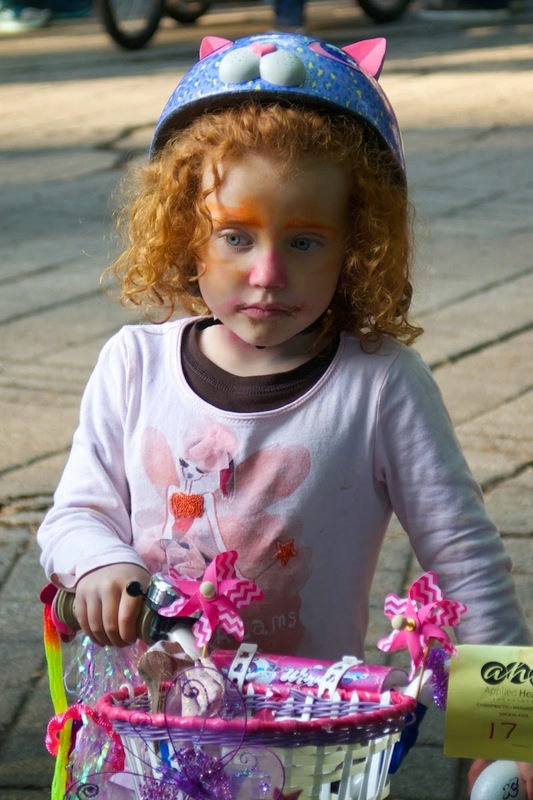 Little girl, what could you possibly be in such deep thought about? 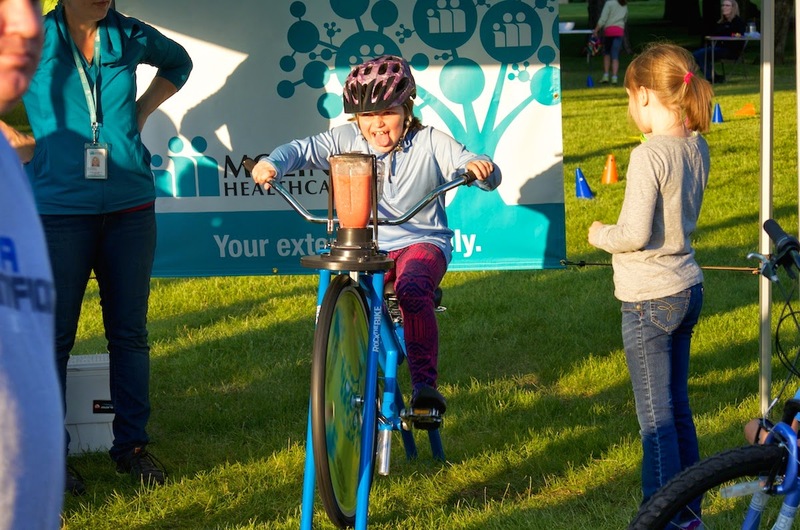 The smoothie bike was hard work but it paid off.